This is “Lady”, a 15/3 hand, 8 year old mare mule that is really gentle. Lady is good anyplace you put her. She is as stout enough to pack anything and good looking as well. 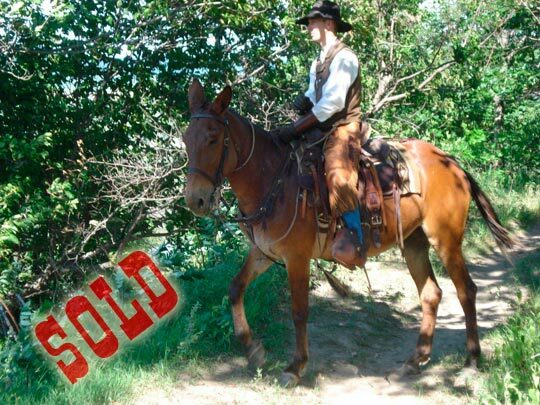 Sold to Texas hunter/rancher.